We were holidaying in Europe last week. It was wonderful. 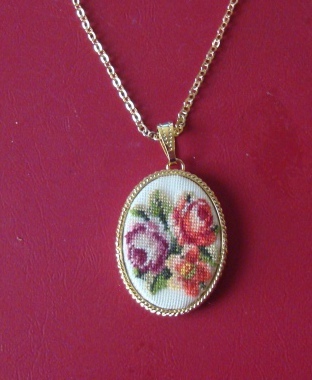 I want to share this petit point embroidery experience . Before leaving Oman, I had these details from the net. 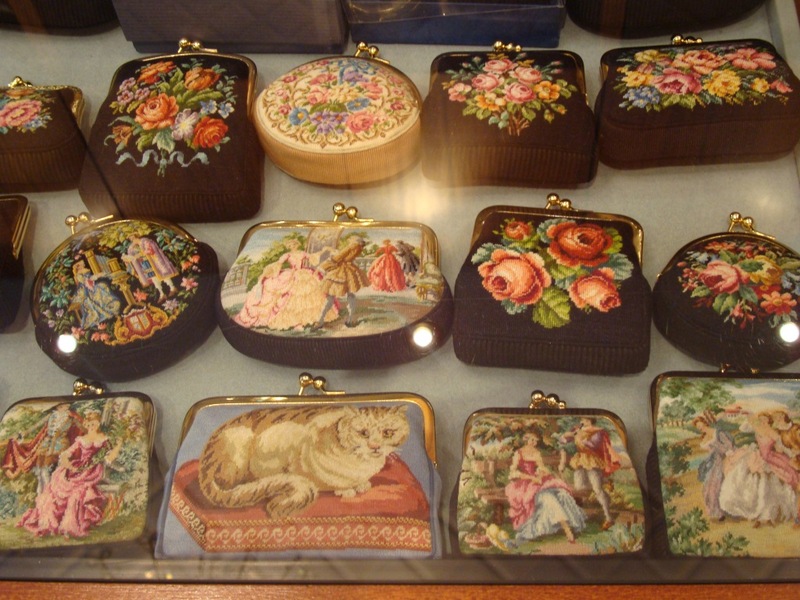 There is a substantial difference between „Needlepoint“ and „Petit Point“. 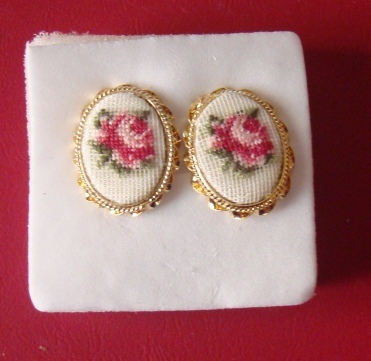 Needlepoint is stitched with thick woollen threads on large canvas, whereas Petit Point is stitched with only one thread on a fine silk gauze. Patterns for needlepoint are printed on the canvas, while Petit Point requires hand painted patterns, which are being used by the artisan to count the stitches and carry them over to the silk gauze. 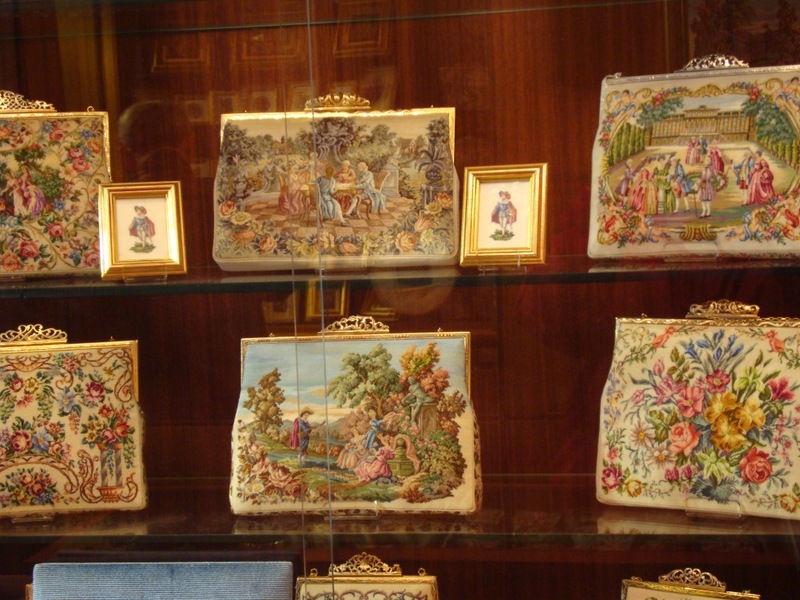 Common Needlepoint work has around 80 stitches per square inch, while most of Petit Point articles have about 1,460 stitches. 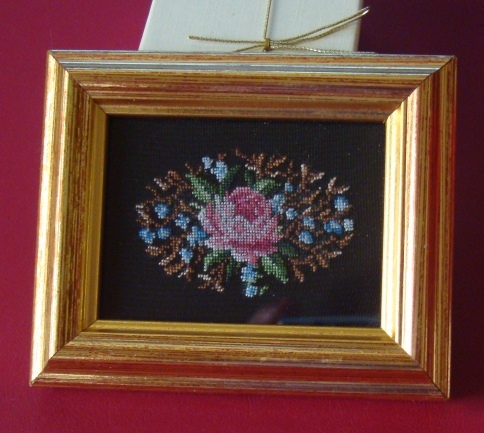 Petit point requires the half-cross stitch technique, which is also known as continental stitch worked out by hand on a high quality silk gauze. As nothing is printed on the silk gauze, each embroidery requires a unique hand painted pattern. Painted patterns had been painted at least half a century ago and therefore they are very rare. 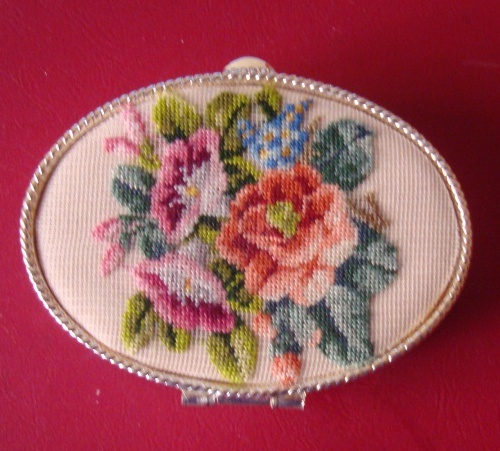 The patterns explain for each stitch on the embroidery, how the thread should be coloured. The artisan has to count the squares on the pattern, use the right coloured thread and transfer it on to the silk gauze. As finer the silk gauze is, the smaller the complete embroidery gets, and the more stitches one can find per square inch. 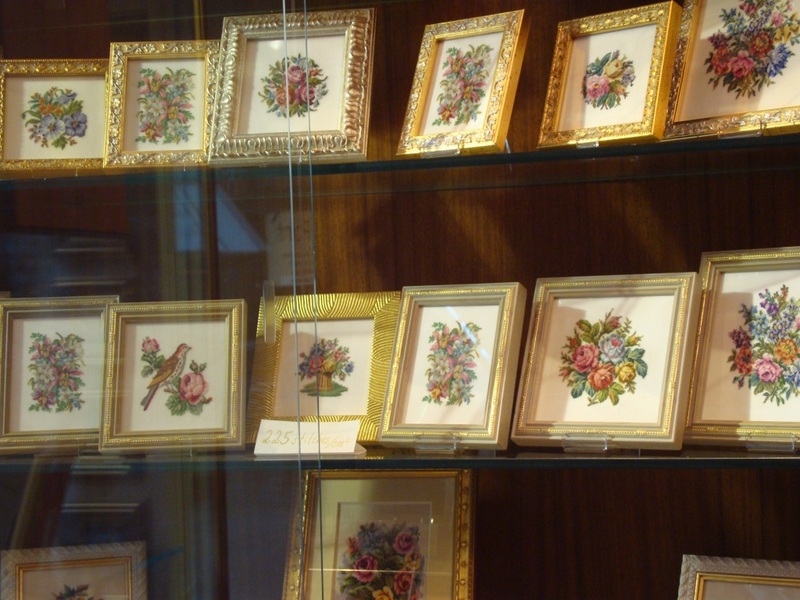 Petit Point embroideries, which are finer than 13 by 13 stitches per square centimetre (32 by 32 per square inch) are usually produced with the help of a magnifying glass. 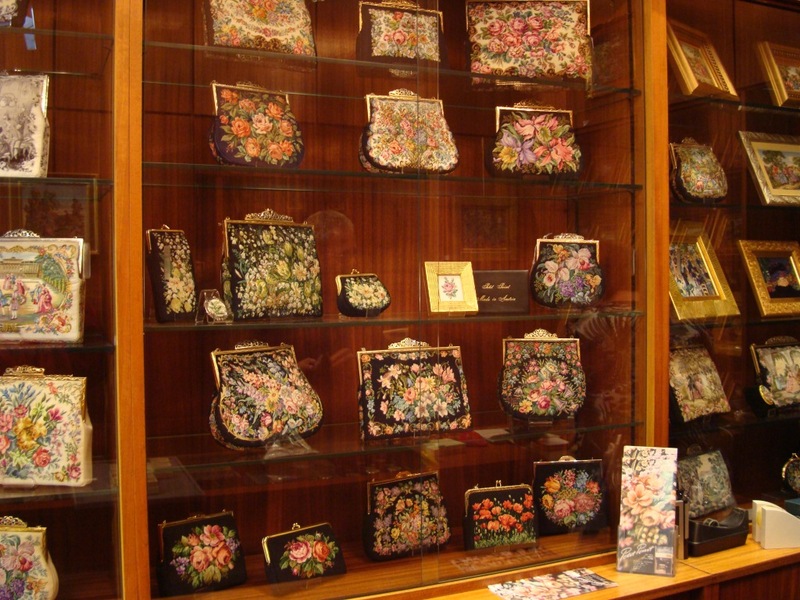 Each Petit Point embroidery requires an extraordinary high degree of handcraft skills, patience and a lot of time, which qualifies it as a piece of art. These details I copied from the shop website, because I may not eloquently convey the beauty of this embroidery with my words. 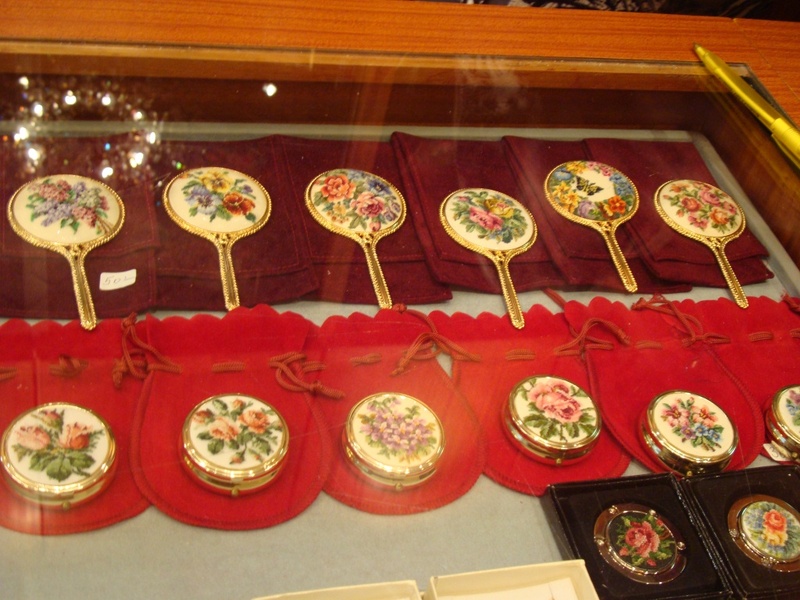 I visited this shop, and found how exquisite each and every piece was. I am fond of old pictures, scenes and was so happy to be there to see this articles made by artists. I want to do some petit point some day, if not in silk gauze, at least on Aida cloth, it may not be petite but might give me the satisfaction of attempting it to preserve the memory of this fantastic place.